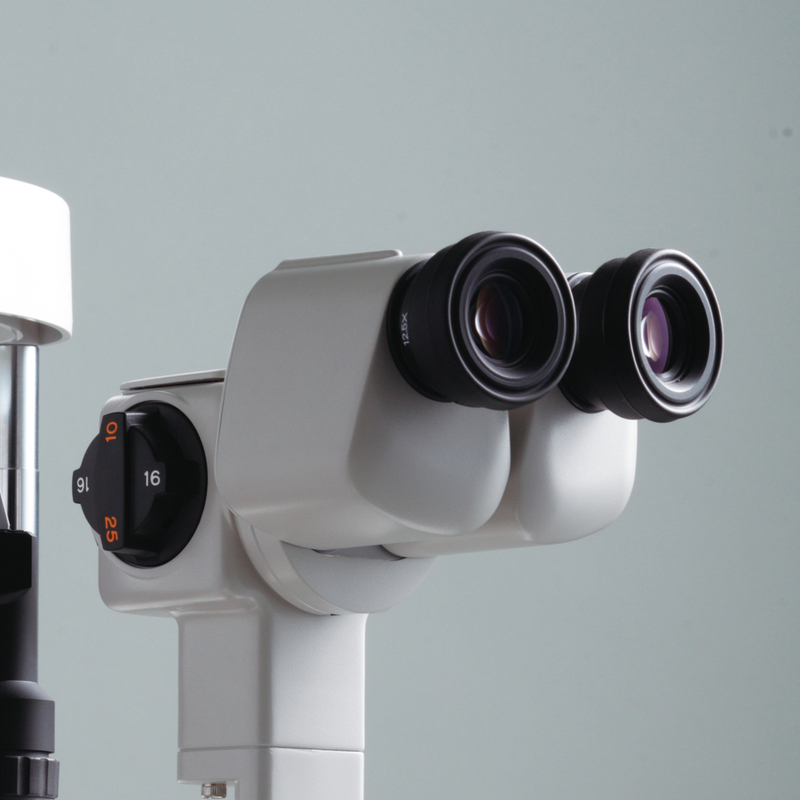 The SL-2G is a clinical slit lamp for use in eye examination. It features a compact illumination unit with a LED light source. 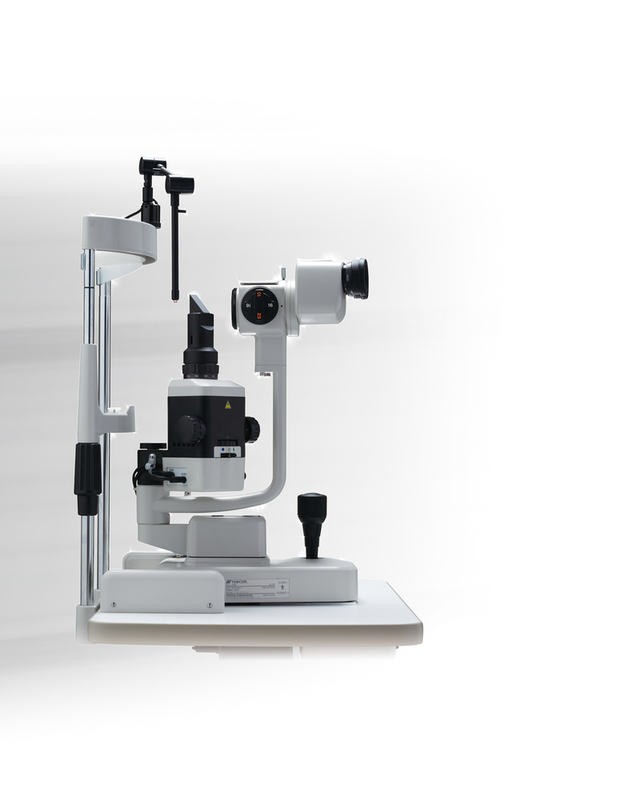 The unit houses the adjustable slit mechanism with up to 14mm of aperture. The slit angle can be rotated 180 degrees and a set of red free and cobalt blue filters can be inserted by lever movement. Magnification changes are done through a rotating drum with 10X, 16X and 25X magnification. The oculars are Galilean converging type and accept the attachment of a beam splitter. Optional mounts for R-900 and 870 type applanation tonometers are available.